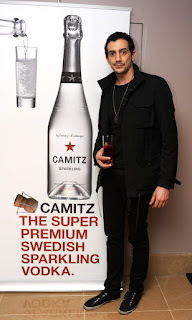 On Saturday 19th February, Camitz Sparkling Vodka provided Camitz Sparkling Woo Woos for Bryce Aime’s A/W 2011 fashion show after-party, held in the Amarillo Suite of The May Fair Hotel. This season Bryce Aime has returned to his signature roots and once again created a collection that truly reflects his individual style, focusing on a strong, modern look with distinctive and unique graphic prints. The inspiration behind his A/W 2011 collection revolves around the militaristic features of an army barracks. An array of structure, classic tailoring and androgynous silhouettes ensures the authoritative, edgy theme remains pivotal throughout. Lavish refreshments in the form of Camitz Sparkling Vodka Woo Woo cocktails were provided at the party. 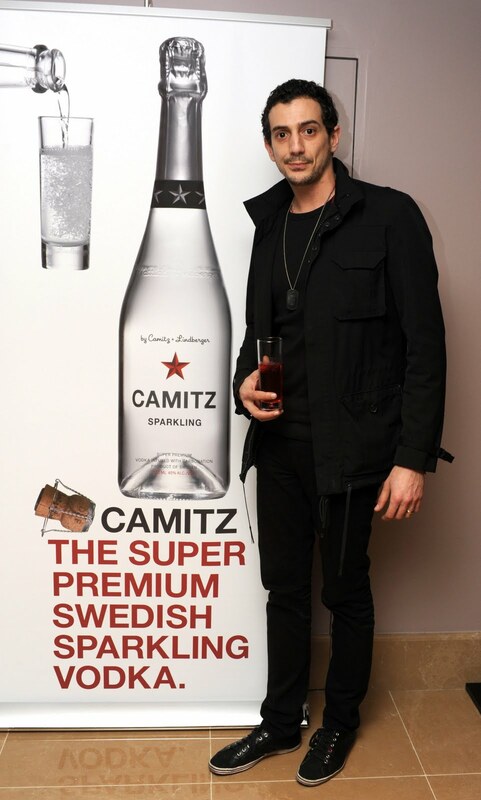 Amongst the guests was the designer himself, Bryce Aime, Amir Layouni from Christian Dior and many up and coming designers, all of whom were seen enjoying the luxurious 100% all natural and refreshing Camitz Sparkling Vodka. Sara Tye is an award winning, top 500 international PR, business and organisational development expert and serial entrepreneur. She is the founder and managing director of redheadPR and chair of Swindon Triathlon Club. Sara also has a multimillion-pound property portfolio in and outside London. Voted ‘Green PR of London’ by the Evening Standard, Sara is a passionate and motivational speaker, writer, coach, mentor and trainer. A keen networker, Sara is a top BNI member and Director Consultant in the UK. Sara leads a team of smart, passionate people who identify opportunities and deliver return on investment for ambitious brands, individuals and organisations. Sara has over 20 years of communications expertise and was a finalist in the first Cosmopolitan Women of the Year Awards in 1999. She played a key role in the implementation of the BT’s environmental policy and the development and management of the philanthropic Best Practice process at Yellow Pages.